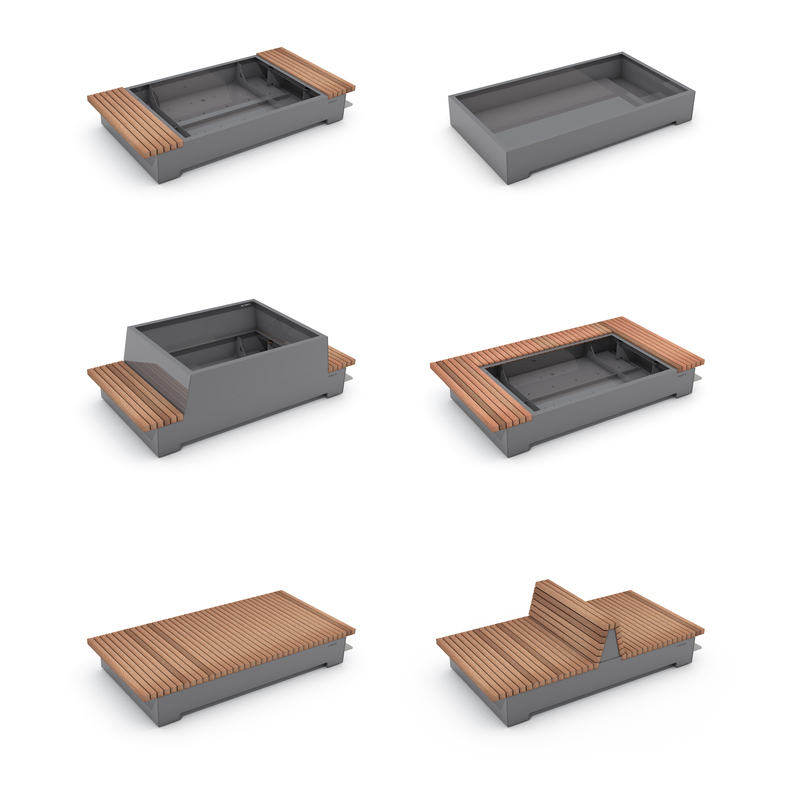 The Mobile Green Isles are moveable rectangular planters with integrated hardwood seats. Their basic structure is fabricated from sheet steel. With the 1.5m wide modular elements an infinite amount of designs can be created. 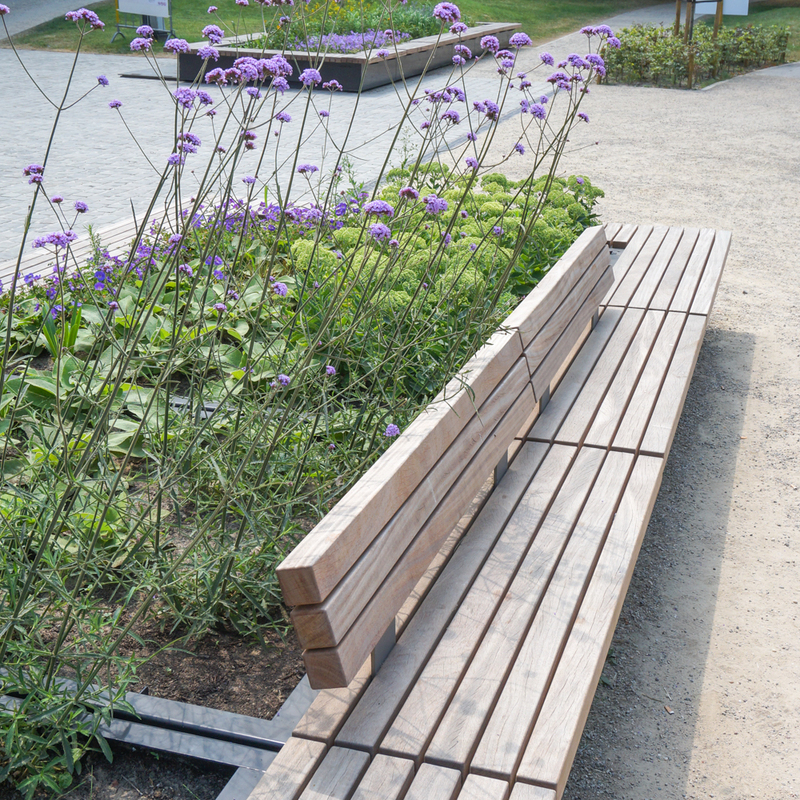 Seating can be installed alongside or end faces using Solid Topseats made from FSC® hardwood slats (7×7 cm - 2.8”x2.8”) fitted with the stainless steel Streetlock® comb system. A seatback measuring 300 cm - 118” is also available (optional). One or two trees can also be accommodated using a planter module. 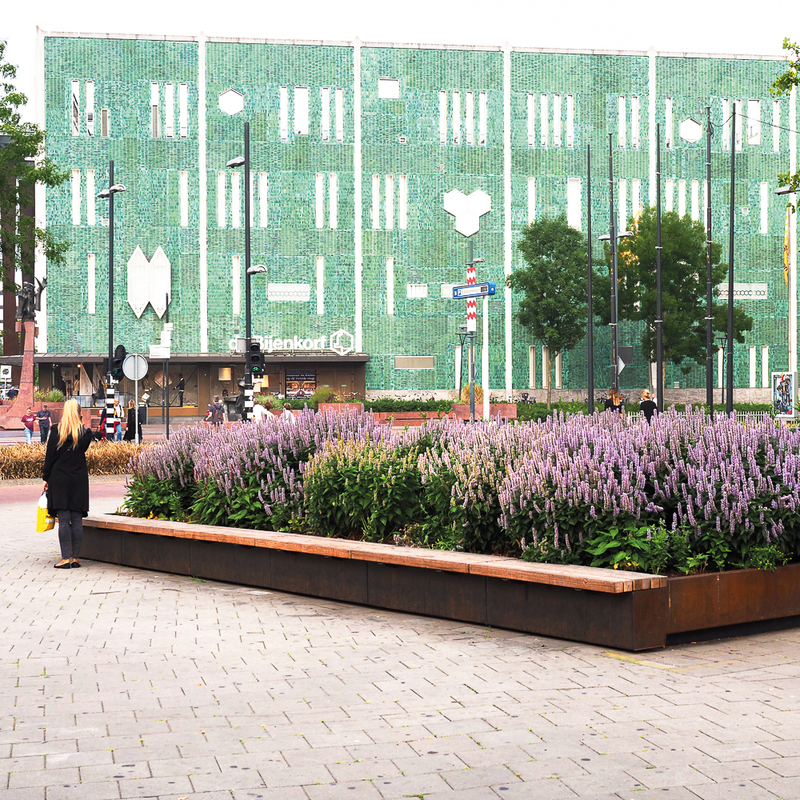 The different modules available in the Mobile Green system can be combined to create countless appealing configurations. This means that every square can easily be set up to create an inviting seating area. 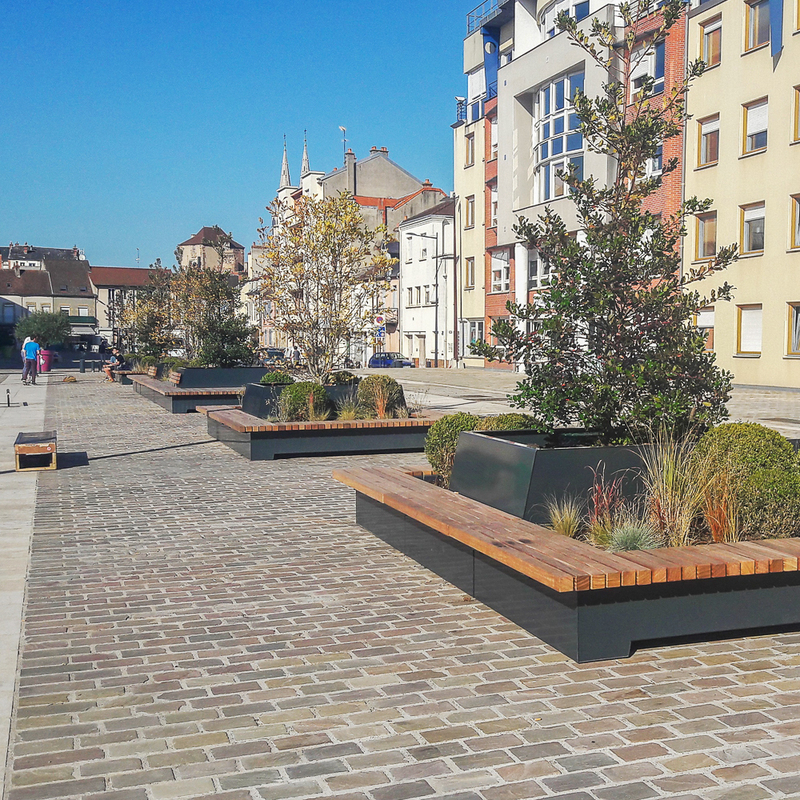 The Streetrail® system guarantees fast and easy installation on the existing flat paved surface.